This article is about the science of healing. For medicaments, see medication. For other uses, see Medicine (disambiguation). "Academic medicine" redirects here. For the journal, see Academic Medicine (journal). "Clinical medicine" redirects here. For the journal, see Clinical Medicine (journal). Medicine (UK: /ˈmɛdsɪn/ ( listen), US: /ˈmɛdɪsɪn/ ( listen)) is the science and practice of the diagnosis, prognosis, treatment, and prevention of disease. The word "medicine" is derived from Latin medicus, meaning "a physician". In modern clinical practice, physicians personally assess patients in order to diagnose, prognose, treat, and prevent disease using clinical judgment. The doctor-patient relationship typically begins an interaction with an examination of the patient's medical history and medical record, followed by a medical interview and a physical examination. Basic diagnostic medical devices (e.g. stethoscope, tongue depressor) are typically used. After examination for signs and interviewing for symptoms, the doctor may order medical tests (e.g. blood tests), take a biopsy, or prescribe pharmaceutical drugs or other therapies. Differential diagnosis methods help to rule out conditions based on the information provided. During the encounter, properly informing the patient of all relevant facts is an important part of the relationship and the development of trust. The medical encounter is then documented in the medical record, which is a legal document in many jurisdictions. Follow-ups may be shorter but follow the same general procedure, and specialists follow a similar process. The diagnosis and treatment may take only a few minutes or a few weeks depending upon the complexity of the issue. 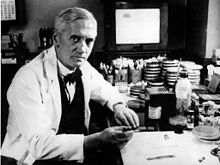 Past medical history (PMH/PMHx): concurrent medical problems, past hospitalizations and operations, injuries, past infectious diseases or vaccinations, history of known allergies. Psychiatric (orientation, mental state, mood, evidence of abnormal perception or thought). Secondary care medical services are provided by medical specialists in their offices or clinics or at local community hospitals for a patient referred by a primary care provider who first diagnosed or treated the patient. Referrals are made for those patients who required the expertise or procedures performed by specialists. These include both ambulatory care and inpatient services, Emergency departments, intensive care medicine, surgery services, physical therapy, labor and delivery, endoscopy units, diagnostic laboratory and medical imaging services, hospice centers, etc. Some primary care providers may also take care of hospitalized patients and deliver babies in a secondary care setting. Separation of prescribing and dispensing is a practice in medicine and pharmacy in which the physician who provides a medical prescription is independent from the pharmacist who provides the prescription drug. In the Western world there are centuries of tradition for separating pharmacists from physicians. In Asian countries it is traditional for physicians to also provide drugs. Medical genetics is concerned with the diagnosis and management of herary disorders. Occupational medicine is the provision of health advice to organizations and individuals to ensure that the highest standards of health and safety at work can be achieved and maintained. Urgent care focuses on delivery of unscheduled, walk-in care outside of the hospital emergency department for injuries and illnesses that are not severe enough to require care in an emergency department. In some jurisdictions this function is combined with the emergency department. In most countries, it is a legal requirement for a medical doctor to be licensed or registered. In general, this entails a medical degree from a university and accration by a medical board or an equivalent national organization, which may ask the applicant to pass exams. This restricts the considerable legal authority of the medical profession to physicians that are trained and qualified by national standards. It is also intended as an assurance to patients and as a safeguard against charlatans that practice inadequate medicine for personal gain. While the laws generally require medical doctors to be trained in "evidence based", Western, or Hippocratic Medicine, they are not intended to discourage different paradigms of health. non-maleficence – "first, do no harm" (primum non-nocere). truthfulness and honesty – the concept of informed consent has increased in importance since the historical events of the Doctors' Trial of the Nuremberg trials, Tuskegee syphilis experiment, and others. In Egypt, Imhotep (3rd millennium BCE) is the first physician in history known by name. The oldest Egyptian medical text is the Kahun Gynaecological Papyrus from around 2000 BCE, which describes gynaecological diseases. The Edwin Smith Papyrus dating back to 1600 BCE is an early work on surgery, while the Ebers Papyrus dating back to 1500 BCE is akin to a textbook on medicine. In Greece, the Greek physician Hippocrates, the "father of modern medicine", laid the foundation for a rational approach to medicine. 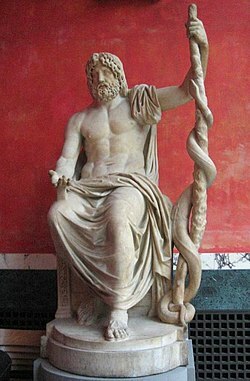 Hippocrates introduced the Hippocratic Oath for physicians, which is still relevant and in use today, and was the first to categorize illnesses as acute, chronic, endemic and epidemic, and use terms such as, "exacerbation, relapse, resolution, crisis, paroxysm, peak, and convalescence". The Greek physician Galen was also one of the greatest surgeons of the ancient world and performed many audacious operations, including brain and eye surgeries. After the fall of the Western Roman Empire and the onset of the Early Middle Ages, the Greek tradition of medicine went into decline in Western Europe, although it continued uninterrupted in the Eastern Roman (Byzantine) Empire. 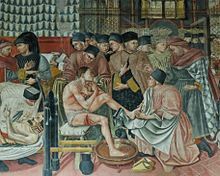 The concept of hospital as institution to offer medical care and possibility of a cure for the patients due to the ideals of Christian charity, rather than just merely a place to die, appeared in the Byzantine Empire. After 750 CE, the Muslim world had the works of Hippocrates, Galen and Sushruta translated into Arabic, and Islamic physicians engaged in some significant medical research. Notable Islamic medical pioneers include the Persian polymath, Avicenna, who, along with Imhotep and Hippocrates, has also been called the "father of medicine". He wrote The Canon of Medicine which became a standard medical text at many medieval European universities, considered one of the most famous books in the history of medicine. Others include Abulcasis, Avenzoar, Ibn al-Nafis, and Averroes. Persian physician Rhazes was one of the first to question the Greek theory of humorism, which nevertheless remained influential in both medieval Western and medieval Islamic medicine. Some volumes of Rhazes's work Al-Mansuri, namely "On Surgery" and "A General Book on Therapy", became part of the medical curriculum in European universities. Additionally, he has been described as a doctor's doctor, the father of pediatrics, and a pioneer of ophthalmology. For example, he was the first to recognize the reaction of the eye's pupil to light. Al-Risalah al-Dhahabiah by Ali al-Ridha, the eighth Imam of Shia Muslims, is revered as the most precious Islamic literature in the Science of Medicine. The Persian Bimaristan hospitals were an early example of public hospitals. Panorama of Siena's Santa Maria della Scala Hospital, one of Europe's oldest hospitals. 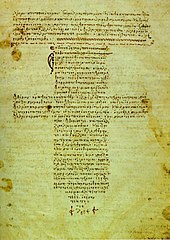 During the Middle Ages, the Catholic Church established universities which revived the study of sciences – drawing on the learning of Greek and Arab physicians in the study of medicine. 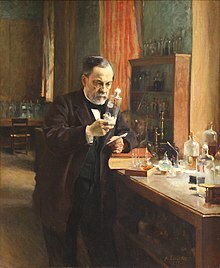 Others that did significant work include William Williams Keen, William Coley, James D. Watson (United States); Salvador Luria (Italy); Alexandre Yersin (Switzerland); Kitasato Shibasaburō (Japan); Jean-Martin Charcot, Claude Bernard, Paul Broca (France); Adolfo Lutz (Brazil); Nikolai Korotkov (Russia); Sir William Osler (Canada); and Harvey Cushing (United States). Pharmacology has become increasingly sophisticated; modern biotechnology allows drugs targeted towards specific physiological processes to be developed, sometimes designed for compatibility with the body to reduce side-effects. Genomics and knowledge of human genetics and human evolution is having increasingly significant influence on medicine, as the causative genes of most monogenic genetic disorders have now been identified, and the development of techniques in molecular biology, evolution, and genetics are influencing medical technology, practice and decision-making. Traditional medicine (also known as indigenous or folk medicine) comprises knowledge systems that developed over generations within various societies before the introduction of modern medicine. 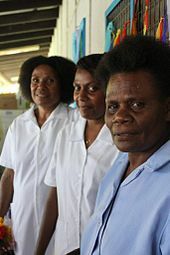 The World Health Organization (WHO) defines traditional medicine as "the sum total of the knowledge, skills, and practices based on the theories, beliefs, and experiences indigenous to different cultures, whether explicable or not, used in the maintenance of health as well as in the prevention, diagnosis, improvement or treatment of physical and mental illness." In some Asian and African countries, up to 80% of the population relies on traditional medicine for their primary health care needs. When adopted outside of its traditional culture, traditional medicine is often called alternative medicine. Practices known as traditional medicines include Ayurveda, Siddha medicine, Unani, ancient Iranian medicine, Irani, Islamic medicine, traditional Chinese medicine, traditional Korean medicine, acupuncture, Muti, Ifá, and traditional African medicine. The WHO notes however that "inappropriate use of traditional medicines or practices can have negative or dangerous effects" and that "further research is needed to ascertain the efficacy and safety" of several of the practices and medicinal plants used by traditional medicine systems. The line between alternative medicine and quackery is a contentious subject. Traditional medicine may include formalized aspects of folk medicine, that is to say longstanding remedies passed on and practised by lay people. Folk medicine consists of the healing practices and ideas of body physiology and health preservation known to some in a culture, transmitted informally as general knowledge, and practiced or applied by anyone in the culture having prior experience. Folk medicine may also be referred to as traditional medicine, alternative medicine, indigenous medicine, or natural medicine. These terms are often considered interchangeable, even though some authors may prefer one or the other because of certain overtones they may be willing to highlight. In fact, out of these terms perhaps only indigenous medicine and traditional medicine have the same meaning as folk medicine, while the others should be understood rather in a modern or modernized context. ^ "Dictionary, medicine". Retrieved 2 Dec 2013. ^ "Acupuncture (PDQ®)". National Cancer Institute. 2005-09-23. Retrieved 15 Sep 2013. ^ "Medicine, n.1". OED Online. Oxford University Press. September 2014. Retrieved 8 Nov 2014. ^ "Medicine". Oxford Dictionaries Online. Oxford University Press. Retrieved 8 Nov 2014. ^ Etymology: Latin: medicina, from ars medicina "the medical art", from medicus "physician". (Etym.Online) Cf. mederi "to heal", etym. "know the best course for", from PIE base *med- "to measure, limit. Cf. Greek medos "counsel, plan", Avestan vi-mad "physician"
^ El Dib RP, Atallah AN, Andriolo RB (August 2007). "Mapping the Cochrane evidence for decision making in health care". J Eval Clin Pract. 13 (4): 689–692. doi:10.1111/j.1365-2753.2007.00886.x. PMID 17683315. ^ a b Coulehan JL, Block MR (2005). The Medical Interview: Mastering Skills for Clinical Practice (5th ed.). F. A. Davis. ISBN 978-0-8036-1246-4. OCLC 232304023. 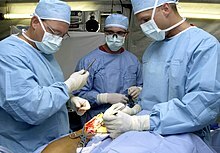 ^ "Assessing patients effectively: Here's how to do the basic four techniques". Nursing2014. 8 (2): 6. 2006. ^ Grembowski DE, Diehr P, Novak LC, et al. (August 2000). "Measuring the "managedness" and covered benefits of health plans". Health Serv Res. 35 (3): 707–734. PMC 1089144. PMID 10966092. ^ "Insuring America's Health: Principles and Recommendations". Institute of Medicine at the National Academies of Science. 14 Jan 2004. Archived from the original on 19 October 2009. ^ Laokri S, Weil O, Drabo KM, Dembelé SM, Kafando B, Dujardin B (April 2013). "Removal of user fees no guarantee of universal health coverage: observations from Burkina Faso". Bull. World Health Organ. 91 (4): 277–282. doi:10.2471/BLT.12.110015. PMC 3629451. PMID 23599551. ^ Chou, Y. J.; Yip, Winnie C.; Lee, Cheng-Hua; Huang, Nicole; Sun, Ying-Pei; Chang, Hong-Jen (September 2003). "Impact of separating drug prescribing and dispensing on provider behaviour: Taiwan's experience". Health Policy and Planning. 18 (3): 316–329. ISSN 0268-1080. PMID 12917273. ^ Fowler, H.W. (1994). A Dictionary of Modern English Usage (Wordsworth Collection) (Wordsworth Collection). NTC/Contemporary Publishing Company. ISBN 978-1-85326-318-7. ^ "The Royal Australasian College of Physicians: What are Physicians?". Royal Australasian College of Physicians. Archived from the original on 6 March 2008. Retrieved 5 Feb 2008. 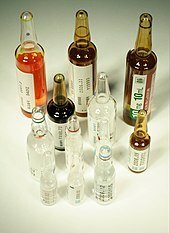 ^ "therapeutics (medicine)". Britannica Online Encyclopedia. Archived from the original on 18 December 2007. Retrieved 21 Apr 2012. ^ Arbor S, Biala N, Brooks S (2018). "A searchable database of medical education objectives - creating a comparable gold standard". BMC Med Educ. 18 (1): 31–39. doi:10.1186/s12909-018-1136-z. PMC 5833091. PMID 29499684. ^ Singh, A.; Sarangi, D. (2003). "We need to think and act". Indian Journal of Plastic Surgery. 36 (1): 53–54. ^ Rana RE, Arora BS (2002). "History of Plastic Surgery in India". Journal of Postgraduate Medicine. 48 (1): 76–78. PMID 12082339. ^ Resource Mobilization in Sri Lanka's Health Sector – Rannan-Eliya, Ravi P. & De Mel, Nishan, Harvard School of Public Health & Health Policy Programme, Institute of Policy Studies (Sri Lanka), February 1997, p. 19. Accessed 22 Feb 2008. ^ Grammaticos PC, Diamantis A (2008). "Useful known and unknown views of the father of modern medicine, Hippocrates and his teacher Democritus". Hell J Nucl Med. 11 (1): 2–4. PMID 18392218. ^ Becka J (1980). "The father of medicine, Avicenna, in our science and culture: Abu Ali ibn Sina (980–1037) (Czech title: Otec lékarů Avicenna v nasí vĕdĕ a kulture)". Cas Lek Cesk (in Czech). 119 (1): 17–23. PMID 6989499. ^ ""The Canon of Medicine" (work by Avicenna)". Encyclopædia Britannica. 2008. Archived from the original on 28 May 2008. Retrieved 11 Jun 2008. ^ Ahmad, Z. (St Thomas' Hospital) (2007). "Al-Zahrawi – The Father of Surgery". ANZ Journal of Surgery. 77 (Suppl. 1): A83. doi:10.1111/j.1445-2197.2007.04130_8.x. ^ Abdel-Halim RE (2006). "Contributions of Muhadhdhab Al-Deen Al-Baghdadi to the progress of medicine and urology. A study and translations from his book Al-Mukhtar". Saudi Medical Journal. 27 (11): 1631–1641. PMID 17106533. ^ "Chairman's Reflections: Traditional Medicine Among Gulf Arabs, Part II: Blood-letting". Heart Views. 5 (2): 74–85 . 2004. Archived from the original on 8 March 2013. ^ Martín-Araguz A, Bustamante-Martínez C, Fernández-Armayor Ajo V, Moreno-Martínez JM (1 May 2002). "Neuroscience in al-Andalus and its influence on medieval scholastic medicine". Revista de Neurología (in Spanish). 34 (9): 877–892. PMID 12134355. ^ Iskandar, Albert (2006). "Al-Rāzī". Encyclopaedia of the history of science, technology, and medicine in non-western cultures (2nd ed.). Springer. pp. 155–156. ^ Tschanz David W., PhD (2003). "Arab(?) Roots of European Medicine". Heart Views. 4 (2). ^ a b Elgood, Cyril (2010). A Medical History of Persia and The Eastern Caliphate (1st ed.). London: Cambridge. p. 202–203. ISBN 978-1-108-01588-2. 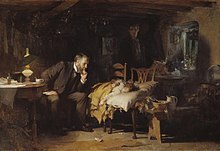 By writing a monograph on 'Diseases in Children' he may also be looked upon as the father of paediatrics. ^ Muhammad Jawad Fadlallah. Imam ar-Ridha', A Historical and Biographical Research. Al-islam.org. Yasin T. Al-Jibouri. Retrieved 18 Jun 2014. ^ Peter Barrett (2004). Science and Theology Since Copernicus: The Search for Understanding. Continuum International Publishing Group. p. 18. ISBN 978-0-567-08969-4. 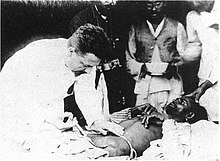 ^ Michael Dols has shown that the Black Death was much more commonly believed by European authorities than by Middle Eastern authorities to be contagious; as a result, flight was more commonly counseled, and in urban Italy quarantines were organized on a much wider level than in urban Egypt or Syria ( Michael W. Dols (1977). The Black Death in the Middle East. Princeton. pp. 119, 285–290. OCLC 2296964. ). ^ "Page through a virtual copy of Vesalius's De Humanis Corporis Fabrica". Archive.nlm.nih.gov. Retrieved 21 Apr 2012. ^ Lynch CD, O'Sullivan VR, McGillycuddy CT (2006). "Pierre Fauchard: The 'Father of Modern Dentistry'". British Dental Journal. 201 (12): 779–781. doi:10.1038/sj.bdj.4814350. PMID 17183395. ^ Cooper, Peter (2004). "Medicinal properties of body parts". The Pharmaceutical Journal. 273 (7330): 900–902. Archived from the original on 3 December 2008. ^ Atanasov AG, Waltenberger B, Pferschy-Wenzig EM, Linder T, Wawrosch C, Uhrin P, Temml V, Wang L, Schwaiger S, Heiss EH, Rollinger JM, Schuster D, Breuss JM, Bochkov V, Mihovilovic MD, Kopp B, Bauer R, Dirsch VM, Stuppner H (2015). "Discovery and resupply of pharmacologically active plant-derived natural products: A review". Biotechnol. Adv. 33 (8): 1582–1614. doi:10.1016/j.biotechadv.2015.08.001. PMC 4748402. PMID 26281720. ^ Ezzo J, Bausell B, Moerman DE, Berman B, Hadhazy V (2001). "Reviewing the reviews. How strong is the evidence? How clear are the conclusions?". Int J Technol Assess Health Care. 17 (4): 457–466. PMID 11758290. ^ Acharya, Deepak and Shrivastava Anshu (2008): Indigenous Herbal Medicines: Tribal Formulations and Traditional Herbal Practices, Aavishkar Publishers Distributor, Jaipur, India. ISBN 978-81-7910-252-7. pp. 440.